The new route, onboard an Embraer E190 with a capacity for 120 passengers, has been scheduled to operate on Thursdays and Sundays, although the inaugural flight has been moved forward to Wednesday 6 due to the long weekend that encompasses the Day of the Constitution and the Feast of the Immaculate Conception. 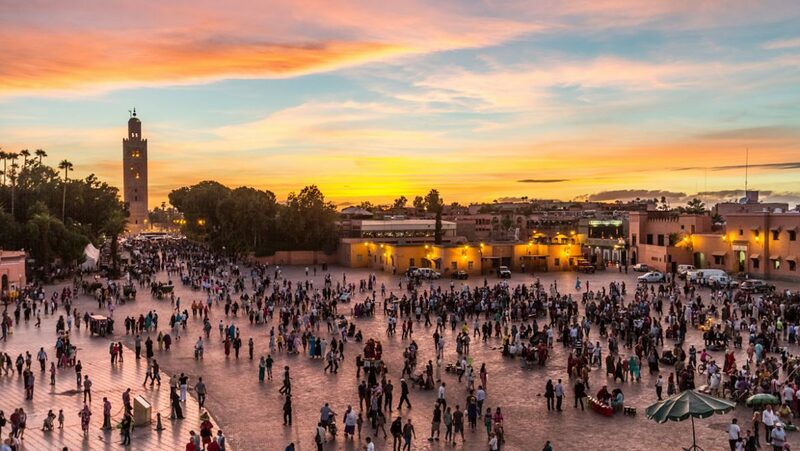 The flight connecting Madrid with Marrakech will take off from Adolfo Suárez Madrid-Barajas Airport at 15.15 on Thursdays and Sundays and land in Marrakech-Menara Airport at 16.15 (local time). In the opposite direction the flight will leave the Alaouite country at 17.15 and arrive in Madrid at 20.20. Thanks to this new route, Marrakech is also connected, via Air Europa’s hub in Madrid, to the rest of the national, European and transoceanic destinations covered by the airline. Air Europa consolidates Globalia’s strategic position with the neighbouring country thanks to re-opening this route. It is worth noting that Be Live Hotels, Globalia’s hotel division, operates two hotels in Morocco: the Be Live Experience Marrakech Palmeraieandthe Be Live Collection Saïdia. The division plans to open another 5-star hotel, the Be Live Collection Marrakech Adults Only, in the residential area of Marrakech’s palm grove. Jamaa el Fna square is one of the most popular places in the city, very lively during the day and night. It is an ideal place to enjoy a drink in a terrace and simply observe the hustle and bustle of the Medina’s centre. Nearby are the Bazaar, the Koutoubia Mosque and Marrakech’s museums. The Bazaar. Live the experience of haggling or simply enjoy a stroll through the countless alleys, where you will find the famous spices and spectacular iron objects. The Saadian Tombs, dating back to the 16th century, are located in a garden with over 100 tombs. Here rest the remains of the Saadi Dynasty’s servants and warriors. The Majorelle Gardens are one of the most visited sites in Morocco. It owes its name to the French painter Jaques Majorelle (1882-1962), who dedicated 40 years to creating this enchanting garden in the heart of the ochre city.